Throughout the year, tens of thousands of New South Wales citizens have regularly petitioned the parliament in opposition to coal seam gas mining (CSG mining) in water catchment areas. A recent Reachtel poll of the Sydney electorate showed nearly 75 percent of city residents are concerned that coal and CSG mining exploration and mining may threaten Sydney’s drinking water supply. CSG mining activities can have devastating permanent impacts on water systems. Adjacent land is cleared and degraded, removing vital habitat for ecosystems that sustain clean and healthy water. Pollution from dust and chemicals contaminate the water, which makes it unsafe to drink and further harms the ecosystems. Cracked riverbeds from mining activity can cause subsidence, which reduces the amount of clean water reaching our catchments. In February last year, the State Government approved expansion of the Dendrobium Mine for longwall mining under 12 upland swamps within the Avon dam system, which supplies eight percent to nine percent of Sydney’s drinking water. Upland swamps filter contaminants from the water before it reaches the catchment. Subsidence and cracking caused by mining could drain and pollute these swamps. The Sydney Catchment Authority and the Office of Environment and Heritage say remediation of these swamps is unlikely. Swamps are vital to the health of our catchments and should not be put at risk. The four mines already in operation in the Sydney catchment area drain about 3 billion litres of water from Sydney’s supply each year. CSG mining exploration licences also exist across Sydney’s five big drinking water catchments. These must not be developed into full mines. Contaminated water stores for CSG mining could burst or overflow and pollute the catchments. Sydney’s water catchment provides drinking water to 4.5 million people in the Sydney-Illawarra region. The Sydney metropolitan strategy predicts that by 2031 Sydney will need to accommodate an extra 1.3 million people. Securing a large supply of safe, clean drinking water will be essential to our quality of life. We should not risk the integrity of Sydney’s water catchments for short-term mining profits. Contamination is not something that can be safely fixed. 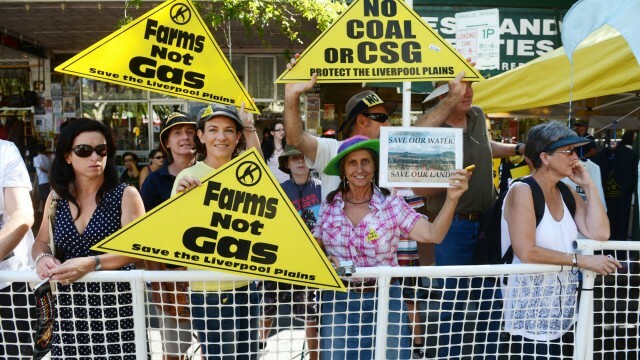 It is encouraging that the State Government has moved to ban new CSG mining activities within two kilometres of residential areas and has initiated an independent review of CSG mining activities by the New South Wales Chief Scientist and Engineer, but more needs to be done. The Government should ban mining and CSG mining activities in and adjacent to drinking water catchment areas. Our water catchments provide an essential and irreplaceable service, and any risky activity should be banned, not just managed. Mining under creeks and waterways that service the Sydney catchment area is a particular concern, with cracked riverbeds from mining activities causing subsidence that reduces the amount of clean water reaching our catchments. Mining is a heavy-duty industrial activity that has no place in the delicate ecosystems of our water supplies. The member for Sydney says he doesn’t support CSG mining but he supports his masters plan for trigeneration which uses CSG. He seems confused.